Veena Malki got married with his boyfriend Asad Bashri in Dubai. 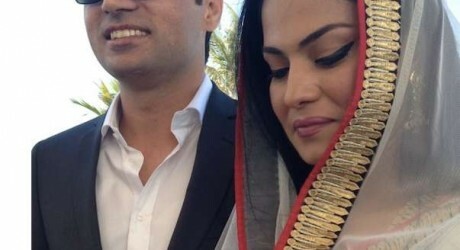 Veena Malik is so glad after wedding and she said in her interview that her white dress wedding wish made true. Here is the Veena Malik wedding video.